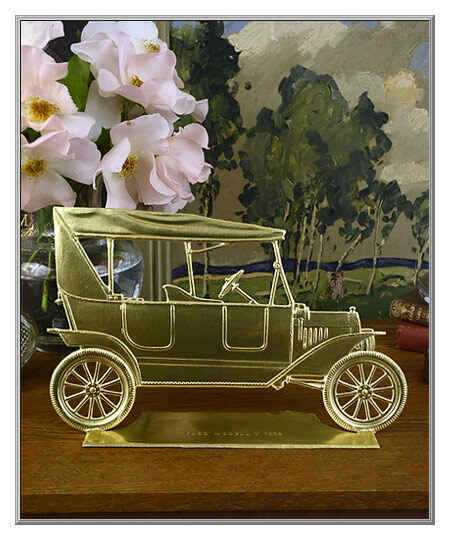 A special treat for any auto enthusiast, this gold Dresden automobile is a rare, extra-large stand-up decoration. 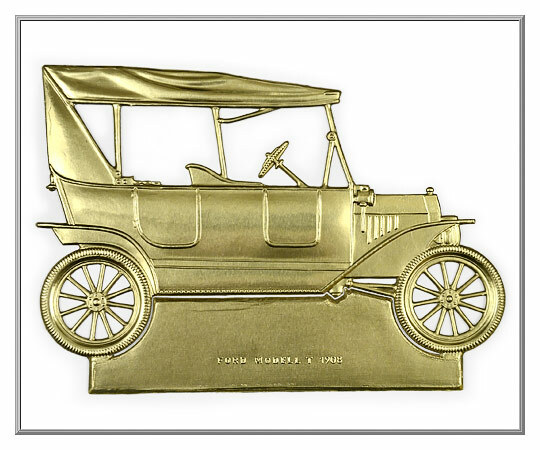 Made to order especially for us way back in 1986, the production of this item was discontinued shortly thereafter. Still in mint condition, it has a "Made in West Germany" sticker on the back. 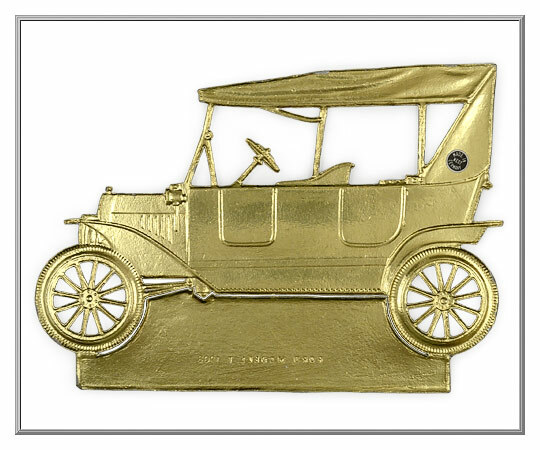 Manufactured of sturdy cardboard that is deeply and crisply embossed, it has gold foil on both sides. 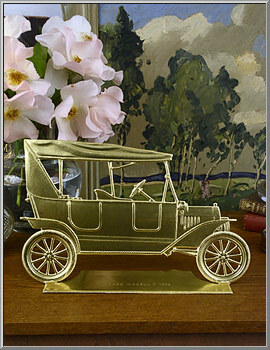 To create the standing Dresden decoration, just fold back the hinged platform base. 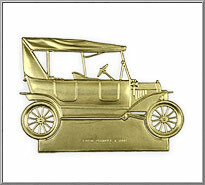 Sold as one Dresden decoration. 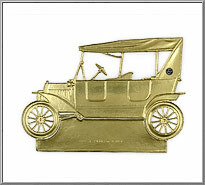 automobile is 9½" wide by 6" high.